In the last few years I have become a bit of an NPR junkie, which led me from the local radio station to the podcasts. One in particular i listen to weekly is Pop Culture Happy Hour. This is led by NPR’s pop culture writer Linda Holmes with weekly contributions from Glen Weldon and Stephen Thompson. A weekly segment on the show is called What’s Making us Happy, and on it Glen Weldon mentioned a new show on Netflix called Black Mirror. I have just completed the first season and must say Mr. Weldon was spot on. Consider this post both a plug for Pop Culture Happy Hour, weekly wherever you consume your podcasts, and for Black Mirror. 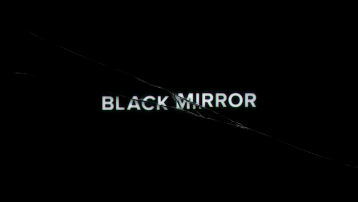 Black Mirror is a british anthology (self contained episodes) series that covers the dark side of our reliance on technology. Like Sherlock, it has very short seasons so while you can be engrossed in the episode you are watching, it does not take a very deep commitment to binge watch the two seasons available on Netflix. After each episode I found myself a) pondering the greater question of how our reliance on technology is to our detriment and b) wanting to delve deeper into the universe of the particular episode i was watching. Much like the Twilight Zone, which this show is likened to regularly these appear to be cautionary tales which leave the viewer to consider the greater question that is being asked. During each episode I wondered what allegorical references the writer and director were making when they put the piece together. Now that being said, it is very entertaining. If you take away the larger looming issues that make this show quite the think piece for technology and just watch for entertainment’s sake you will find yourself blazing through at the very least the first season quite quickly. All of the standard marks of solid television are there, great writing, great direction, compelling story lines. This is for both the thinkers and the watchers out there. For those of you looking to have a quiet couple of nights in, this show will definitely keep you on the edge of your seat and validate your monthly investment in netflix. WARNING: This is not for kids. While it is pretty tame considering what is on television these days and for the most part everything that could be considered offensive is off screen, there is some harsh language that sensitive viewers should be aware of. However if you have watched any show on HBO, it’s way tamer than anything you have viewed on there. Think more along the lines of Breaking Bad, Sons of Anarchy, and the Walking Dead, plus the F-word. Enjoy new content in the new year before they release the third season of House of Cards. It’s on Netflix and it’s called “Black Mirror”.